The Indiana Apartment Association is a statewide trade organization serving the apartment industry in the state of Indiana. To promote, advise and protect the general interests of the ownership and management of multifamily housing in the Indiana area by uniting those engaged in the business. To uphold the dignity of the property management profession and to acquire and disseminate useful business information among its members, to foster a spirit of cooperation among its members; to cultivate higher standards of practice and business ethics. Currently the Indiana Apartment Association represents more than 230,000 units throughout the state, including members in affiliated chapters and council areas. The Association provides owners and management companies a constructive force through which to work together for the betterment of the multifamily housing industry. Q: Is working in the apartment industry a good way to make a living? A: We believe it is. There are many resources for you through national trade associations and universities. Q: If I decide to rent, will I have to sign a lease? A: Leases are generally required by reputable owners, landlords and property management companies, for your protection as well as theirs. Lease clauses identify the agreement between the landlord and the resident in specific terms, so both parties know exactly what is required of them. Q: Will I receive a copy of my lease? A: A lease is a legal contract, and all parties signing the document have a right to copies. Q: Can the rent go up during the term of my lease? A: Only if your lease has a provision for an increase during the lease term. Otherwise, your rent will be the amount stated on the lease for the duration you signed for. Q: If I do not pay my rent, what will happen? A: Late charges could be incurred. In addition to possibly charging late fees, the owner or management company could also file to evict you from the property, and notify credit reporting agencies of your non-payment. Other charges associated with a late rental payment could be required, depending on your lease provisions. Q: What repairs is the owner/management company required to make, and what should I do if they are not made to my satisfaction? A: Review your lease – it should address repairs. It is a good idea to notify the manager of your request in writing, and document any subsequent attempts to get the repair made. It is never a good idea to withhold rent in lieu of repairs being made, nor is it a good idea to move out without giving proper notice because of a maintenance problem. Q: What is proper notice? A: Your lease will indicate the required notice period to vacate your apartment. Q: Can’t I just move out when my lease is up if I want to? A: Usually, the notice period indicated in your lease is still required to be given, even if your lease is expiring. Q: What if I need to break my lease before it expires? A: You will most likely be charged an early termination fee or be required to pay rent for a period of time, possibly until the lease does expire. Your lease may address early termination. If it does not, request the community/company policy in writing prior to terminating your lease. Q: How do I get my security deposit refunded? 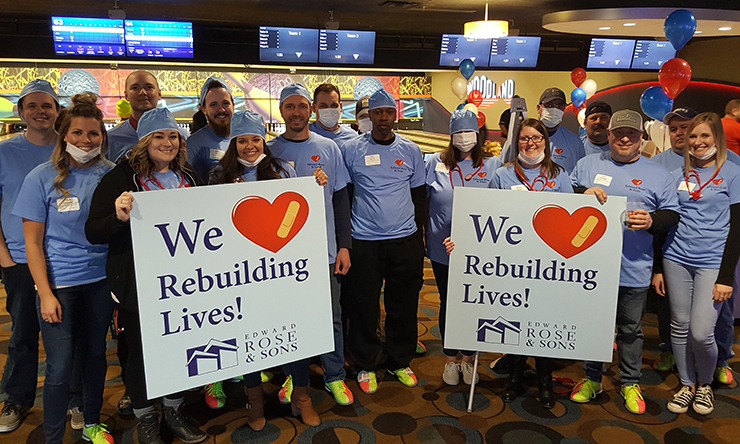 Giving back is an important aspect to membership in the Indiana Apartment Association. 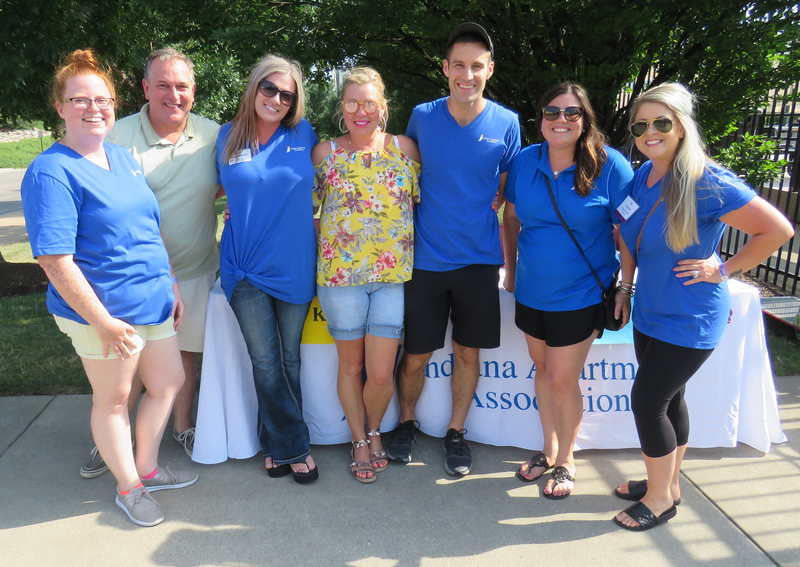 The Indiana Apartment Association has been hosting an annual fundraiser for the Foundation every year since 2001, generating thousands of dollars. The Foundation recently contributed $30,000 to the Ball State University Residential Property Management Program to be used for scholarships. In 2008, the multifamily housing industry suffered losses from severe weather. From tornadoes to floods, apartment communities across the state saw devastation that reached beyond the owners and management companies and directly impacted the residents living there. With that in mind, IAA started its philanthropic focus in 2009 to help apartment community residents who find themselves in a position of replacing their belongings and rebuilding their lives. Our goal for the “Rebuilding Lives” campaign is to establish a support center to provide donations and emergency supplies when disaster strikes. At a time when a property and residents are facing losses due to fire or natural disaster, we want to be there…whether through donating clothing, food, water or a helping hand, the Indiana Apartment Association wants to support our members. Click here to make a donation. SAL was created in memory of Sally Lentz-Crouse, who was a leader in the multifamily housing industry and one of the first woman members of the IAA Board of Directors. To keep Sally’s legacy alive, in 2008 the Indiana Apartment Association began an annual Leadership Retreat. SAL encourages women to reach higher levels of leadership by helping them gain the life skills, knowledge, and confidence needed to achieve their professional and personal goals. The Indiana Apartment Association staff and members are often quoted in the media when it is looking for experts in the field. Click on the links below to find those and other articles of interest to the multifamily housing industry. Ranking: Indiana Cities Among Most Affordable in U.S.
Join a Committee in 2019! If you know us, you know we are an active and engaged association that commits to advancing the multifamily industry in Indiana. We remain focused on our goal, but we also know how to have fun. Unlike most meetings you attend, our committee meetings are composed of passionate professionals dedicated to their roles and their energy is absolutely contagious. After attending one of our committee meetings you’ll feel inspired to start a morning routine or cross off that one item on your to-do list that never seems to leave. We have committee meetings for every type of person too and they don’t require too much of your time – about one meeting per quarter depending on the season. The best way to make the most of your membership is to become involved. If you are a first time volunteer, the Ambassador Committee is the training ground for future service in other committees. Join us on a committee today! This is the training ground for future service in other committees. Ambassador Committee members are exposed to all areas of IAA’s operations as they work to recruit new members and welcome them into the association and work with existing members to expand the Vic the Vendor and Members Buy From Members programs. Meets three times per year. Help to create and support IAA’s educational offerings and advance the industry as a whole. Committee members help with the planning of free education courses, Power Lunches, the Property Bus Tour, and other courses and opportunities. Meets three times per year. 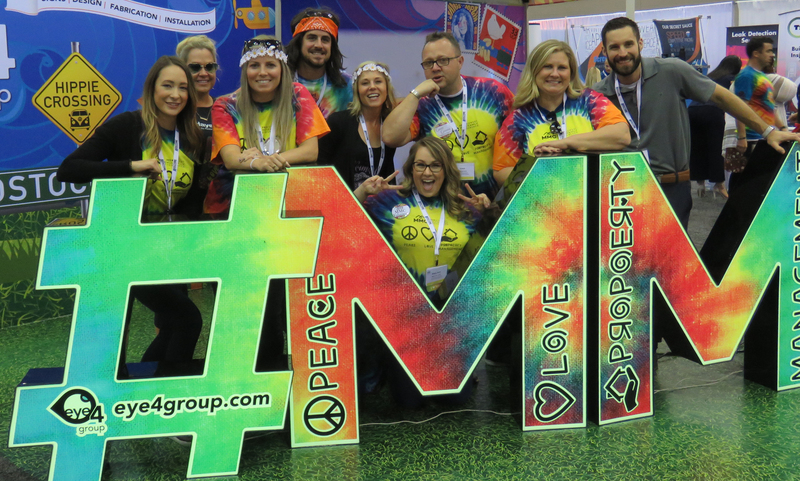 Help with planning the networking events, marketing, educational seminars, and trade show that are part of the annual Midwest Multifamily Conference. Recruit sponsors/door prizes and volunteer on-site at the fall event. Meets four times per year. Plan themes, locations, and entertainment for IAA’s fantastic events and fundraisers. Recruit sponsors and door prizes to bedazzle attendees. Volunteer onsite at all events. Passionate about maintenance? This committee focuses on all maintenance-related events and classes hosted by IAA including Maintenance Mania, maintenance events at the Midwest Multifamily Conference, and the CAMT certification. Meets two times per year. Plan themes, locations, and entertainment for IAA’s fantastic events and fundraisers. Recruit sponsors and door prizes to bedazzle attendees. Volunteer on-site at all events. Meets four times per year. Brainstorm ideas and themes, solicit sponsors and door prizes, help raise funds for the Indiana Multifamily Housing Political Action Committee, and volunteer during the event. Meets three times between January and June. For ages 21-40. This committee helps plan events and education for young professionals to promote leadership and careers in the industry. Meets three times per year. Discuss ways to increase engagement through IAA publications and initiatives. Advise on subjects, create editorial content, and promote advertising for INsites magazine and Multifamily Minute newsletter. Meets three times per year. Sign up for a committee today! IAA members benefit greatly from the support and promotion of our associate members. Our new Preferred Vendor program offers a select opportunity to those associates who, through long-term membership and strong commitment, give the most to IAA. Thank you to our Preferred Vendor for all they do to support fellow members and our association as a whole. GHW offers waste collection services that meet your needs today and tomorrow. We create customized waste collection programs that meet your needs now and as your business evolves over time, regardless of your company’s size or waste stream. Learn more at www.ghwwaste.com. 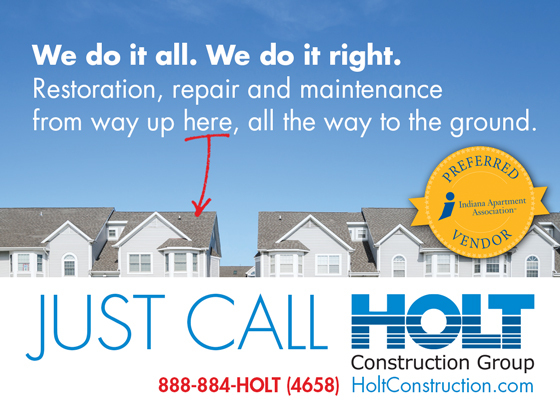 Holt Construction is a single-source, full-service, general construction firm that specializes in restoring, renovating and maintaining multifamily, senior living and commercial properties. Holt Construction builds client relationships that last. Family-owned and operated since 1986. Learn more at www.holtconstruction.com. For more than 150 years, Sherwin-Williams has been an industry leader in the development of technologically advanced paint and coatings. As the nation’s largest specialty retailer of paint and painting supplies, Sherwin-Williams is dedicated to supporting both do-it-yourselfers and painting professionals with exceptional and exclusive products, resources to make confident color selections and expert, personalized service at its more than 4,200 neighborhood stores across North America. Learn more at www.sherwin-williams.com. 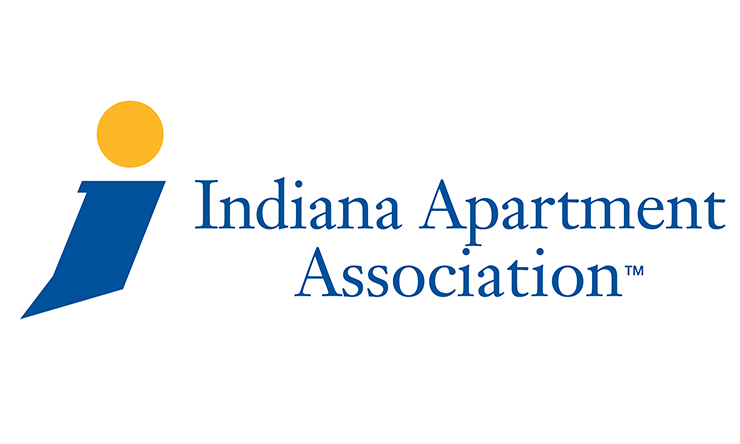 IAA is the only provider of the National Apartment Association’s national lease in Indiana. The Click & Lease program is the most widely used standardized lease form in the national multifamily housing industry. Take advantage of this incredible IAA member benefit. Learn more. A Board of Directors governs the Indiana Apartment Association. The board is comprised of member representatives from across the state. Headed by the President, a qualified staff assists in providing the manpower necessary for maintaining a positive image for the industry and representing the Association professionally. Chairman Chad Greiwe Executive Vice President Gene B. Glick Company, Inc.
Treasurer Sandy Carmin Vice President of Operations Englert Mgmt Corp.
Sandy Carmin Vice President of Operations Englert Mgmt Corp.
Randy Escue Vice President Dominion Realty, Inc.
Chad Greiwe Executive Vice President Gene B. Glick Company, Inc.
Charlie Kurtz Senior Vice President Asset Mgmt J.C. Hart Company, Inc.
Steve Lavery VP | Property Management Herman & Kittle Properties, Inc.
Chuck Townsend President Sheehan Property Mgmt, Inc.
Christian Carmin Vice President Holt Construction Group, Inc.